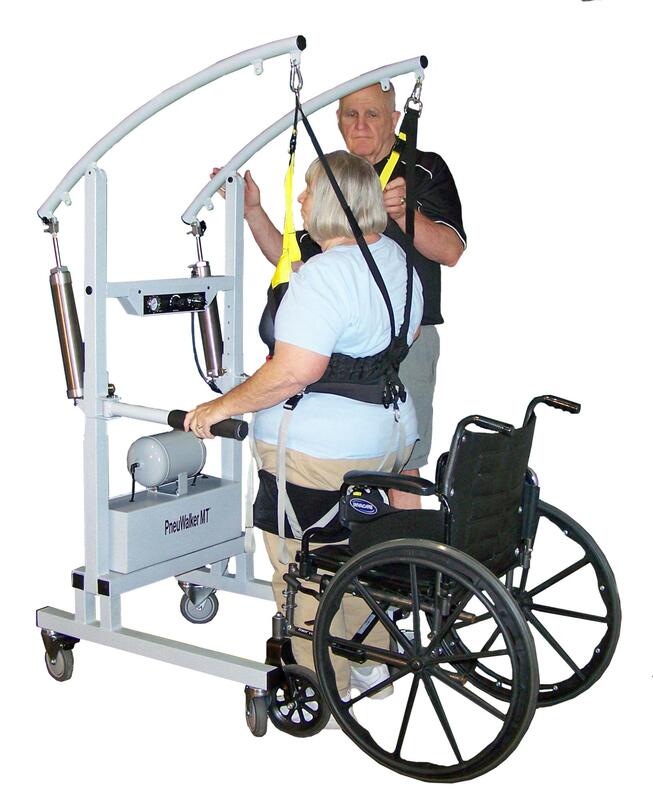 The PneuWalker offers freedom from the fear of falling for both the patient and the therapist, while the patient can experience natural movement while working vertically on proper gait patterns. 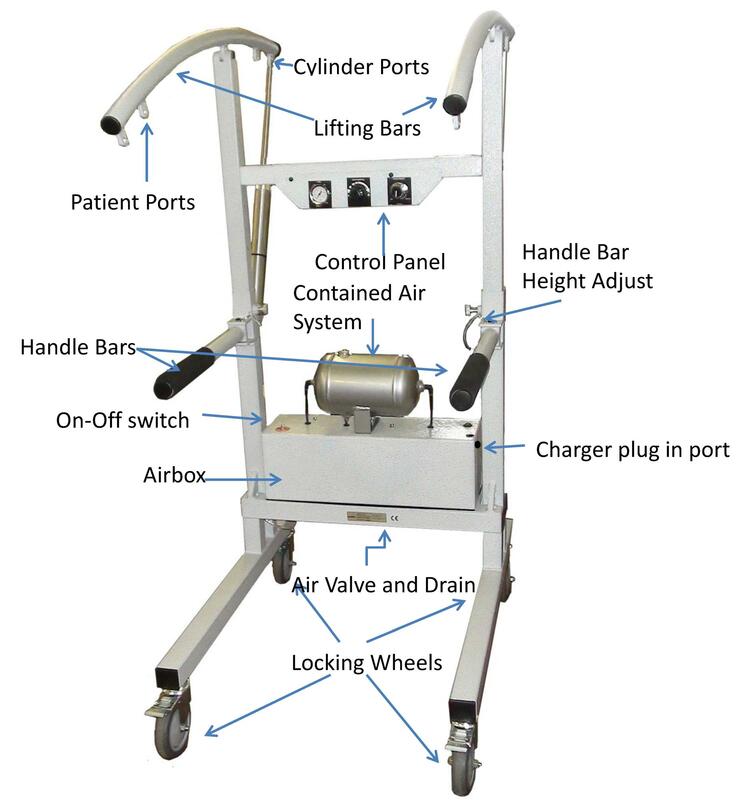 The PneuWalker is user-friendly, analog control allows for precise unweighting and the onboard pneumatic compressor with rechargeable battery will run up to 12 hours on a single charge. 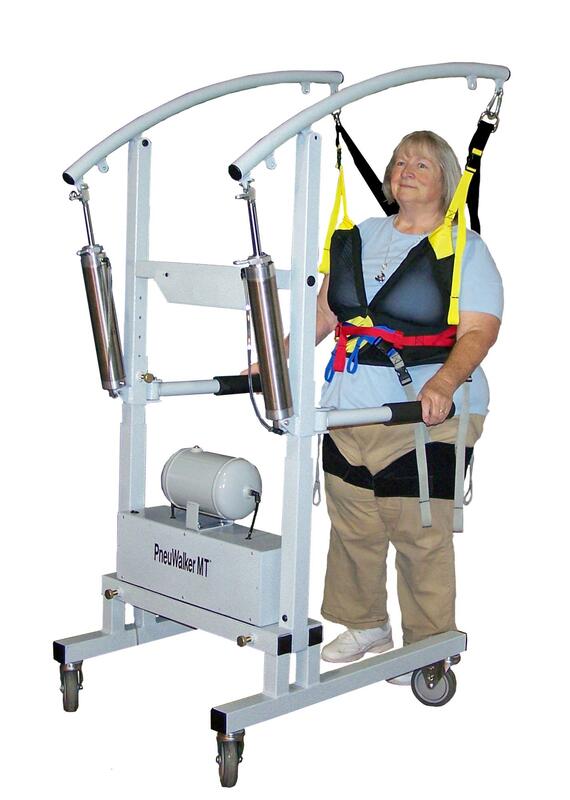 Height and width adjustable to allow for travel through doorways or over treadmills. Can be operated by a solo clinician to lift and transfer patients.